• NEW characters Alice, the Queen of Hearts, and the Mad Hatter from Disney’s Alice in Wonderland! • Hero refresh for Hiro Hamada from Disney’s Big Hero 6! • Tons of quality-of-life improvements across the game! • Darkwing Duck joins the battle! • Badge Bazaar, Creep Surge Raids, Updated Events UI, and more! • Mickey Mouse arrives just in time for his 90th Anniversary! • Guild War is here: Battle rival guilds for rankings and rewards! • New Memory Market, bug fixes, and more! Epic villains arrive to make your team wickedly powerful! • Complete weekly quests to build out your sticker collection! City Watch Raiding, Guild Leader Chat and more! Polish, improvements, bug fixes, and more! New Guild Perks, Friend Finder and more! 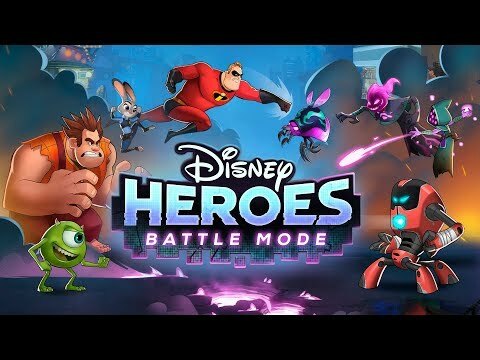 • New The Incredibles Super-Charged Event: For a limited time, boost your heroes from Disney•Pixar’s The Incredibles with extra power, plus other special events! • Lots of visual polish, bug fixes, and UI improvements! 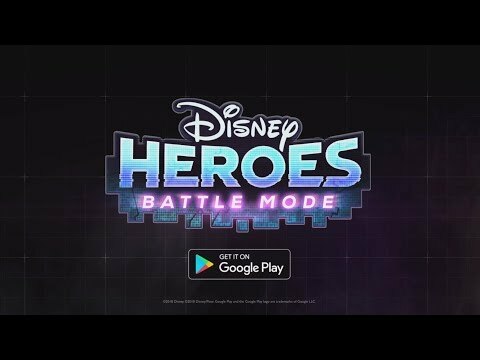 Disney Heroes: Battle Mode worldwide release is here!